There is never enough love for music in the indie realm that is fit for both the living room and the dancefloor, and Indie Discotheque is here to help spread some of that love and bring attention to some of the best indie songs of October. 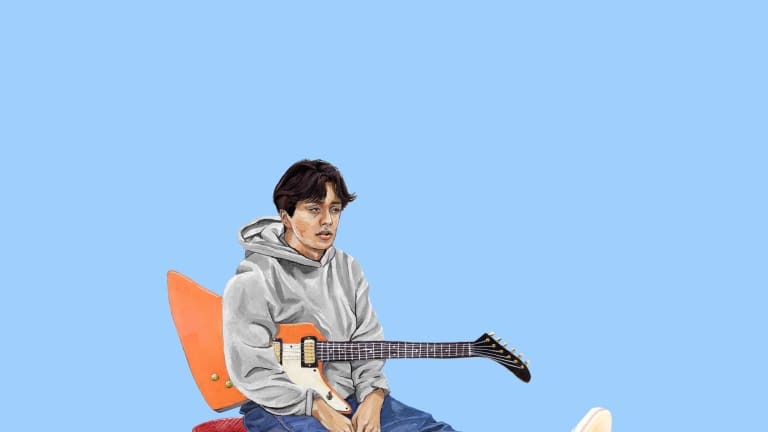 From the catchy hooks by Boy Pablo to the self-conscious musings of Filous featuring Klei, even throw your hands up party tracks like Nvdes “Mind Body Soul Music” prove there’s a song for the most particular of tastes. For a song about feeling lonely, this is one of the most upbeat sounding tracks you can get right now. It’s a contrast of mood to sound that left the spirit while you’re feeling down after a relationship falls apart. You can’t help from missing someone you’ve spent that kind of time with, and this is one of those songs to help keep you above water in times like these, with its lighthearted guitar work and percussion to keep you moving forward. I am enamored by the way this song is presented. My initial thoughts were that this was a cover of some SoundCloud rapper, with very distinct yuh’s, yep’s, and yeah’s peppered at the ends of lyrical verses. But what kind of rapper would repetitively muse about self-consciousness while riding a bicycle? Please correct me if I’m on the right track with this hypothesis, but I couldn’t find an example. So now that Klei and Filous have brought us this wonderful, beat-driven track full of vibraphone and acoustic guitar, let&apos;s bring on the hip-hop version. Musically this song pretty much just checks boxes for me, but there are two elements that stand out: the vocal performance and the guitar work. There is passion in the vocal, and a great variety of guitar in this track that helps it stand out. While I’m sure it’s not that complex and just a series of pedals and switches, I picture this scenario where the band is swapping guitars all over the place while they’re playing the song live. This is such a catchy song, a real dance track, but it&apos;s the lyrical content that really has drawn me in. I think we all have an old friend from our high school or college days that we were attracted to, but the friendship was so great we just didn&apos;t want to ruin it with love. In hindsight maybe it would have worked out, maybe our fears had merit, but it doesn’t stop us from wondering, “what if?” This is a song that explores that. The direction Kero Kero Bonito has gone in on this new record has been such a departure from their last album, but as big a departure it is, they’ve still managed to sound like the band they are. It’s very much a situation where they have successfully continued their sound into a more organic direction without losing themselves, and there aren’t many bands who would be able to succeed in this kind of transition. 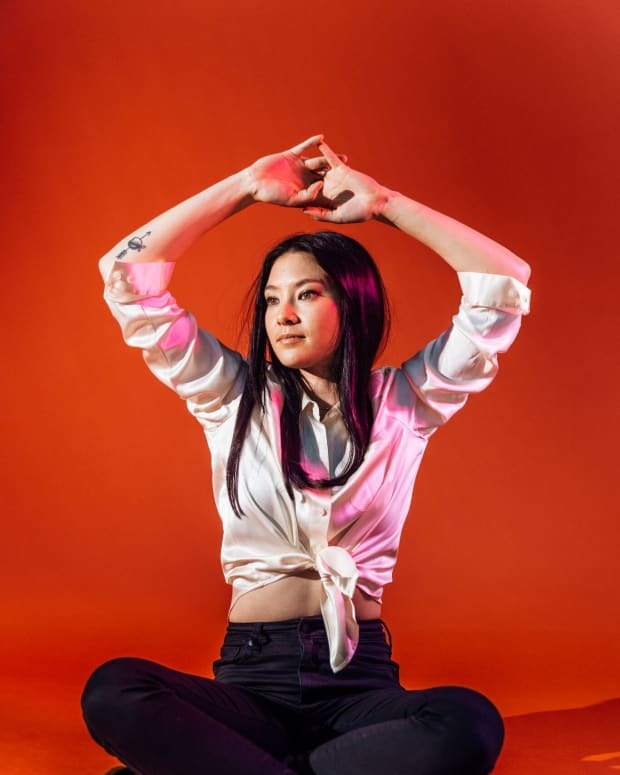 San Mei has really had my attention in what seems like a very long, drawn-out lead-in to her new four-track EP, Heaven. The title track is a grand piece of indie pop, San Mei’s beautiful vocals laid over a big, swollen bed of guitar. I featured her track, “Wonder,” at the top of the chart back in May and have been waiting for this to drop ever since. Now that I’ve heard the EP, I can only wonder how great her album will be, but I’m sure it will be heaven. The influences of “Young Folks” by Peter, Bjorn and John stretch far and wide, so naturally, from the day that song took over the airwaves, its what I think of whenever I hear a song that relies on whistling as its main musical accent. But in this case, even the percussive style and the echo of the rhythm guitar work of “Good” nod heavily to that track. It&apos;s too hard to overlook, but that doesn&apos;t mean Twin XL won’t find their own path from their influences in the future. An upbeat indie pop track with a whole lot of momentum. 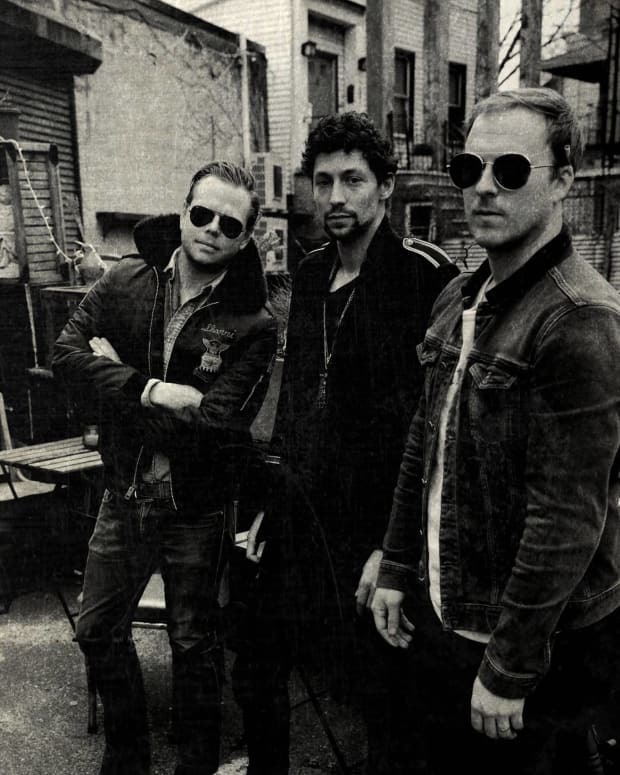 It’s a well-produced song that uses a bucket full of catchphrases (breaking my heart, broken glass, lights in the darkness, change me/save me, breaking chains), but if you can overlook that and focus on its pop sensibility, sing-along melodies (you can even sing whooooaooahh in this song), you’ll have a lot of fun with it and learn to enjoy the song for what it is. It’s apparent that Nvdes has been having a lot of fun writing music. The latest is a massive big-beat banger that will make any dancefloor go absolutely bananas, featuring a passionate blues vocal that really lifts everything to another level. We’re talking about getting riled into a trance, and the way this track breaks down and concludes so abruptly in the end just makes you wish the song was twice as long. I was surprised to be so caught off guard when the new album from Matthew Dear, Bunny, dropped to the public a few weeks ago. The album is minimal in a way I wasn’t expecting, but still features Dear’s voice in his typical prominent fashion. “Can You Rush Them” isn’t the danciest track on the album, but has a 90s goth atmosphere that I’m attracted to. Another notable track on the album is “Electricity,” which oozes with Bowie vibes. When “Social” starts, you’ll immediately know its the vocal performance that is what makes the song. The rise and falls of the melody are magnetic, and when we get to the chorus we find ourselves immediately tempted to sing along, “are we playing for something more?” The bridge comes out of nowhere, with this super lighthearted beat and guitar, and a distorted “social” drop that is completely engaging. Pop songs that wear similarities to other pop sings are fine, and in this case, with a loudspeaker vocal effect, arranged in the style the Gorillaz are so famous for, and guitar work reminiscent of The Raveonettes. The beautiful backing ethereal strings really got my attention. Fake Shark isn’t just mimicking other bands, they have accomplished a uniqueness with “Smile,” a song that is a challenge in its own way (I’ll bet you can’t make me), giving a feel-good playfulness throughout. The crooning in the opening of the track draws you in immediately. This is that Bruce Springsteen-influenced, uptempo, danceable indie we’re hearing a lot of lately, but “Tired of Love” has this unique element where Parade of Lights pause for a moment before each run through the chorus, and it the deafening silence of these moments provide a really powerful effect to get your attention. This is a football chant, a party marching band anthem, and carousel song all wrapped up into a neat dance-rock package. Fires in renegade hearts, whooooaoo’s, a guy named Steve, acoustic strumming. The use of marching snare as backing percussion only adds to the epic nature of the songwriting. How catchy is this song? It’s so catchy, the home team has blocked every attempted goal against it, and the crowd is going wild. This is a track that is just dripping with attitude and swagger. So much that, yeah, he’s 2pm for breakfast. This guy knows how to f’n sleep, man, and all of his working friends are jealous. The “naa naa naa’s” in the middle of the song are classic, and the guitar work is thick like pudding. But the guitar solo at the end is such a tease! I want it in the song and more of it. Perhaps Timi Temple can get us an extra swagger version of the track someday.